Why buy Phat? 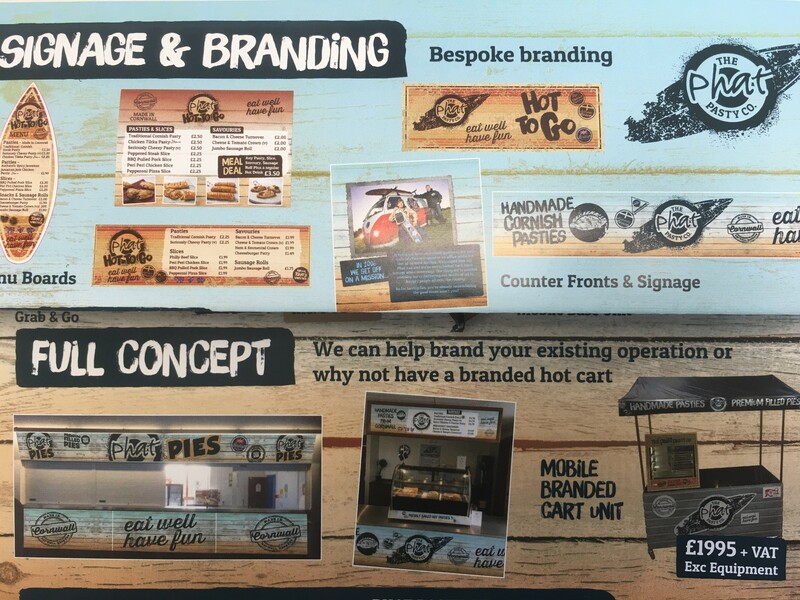 We add value through use of our branding within foodservice operations, bringing a fun and vibrant high street look and feel to your operation. From point of sale packs, signage and menu boards through to full equipment and kiosk solutions. 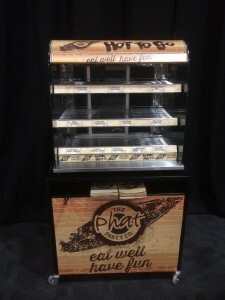 A countertop heated display cabinet, branded with surfboard menu and a point of sale starter pack. Perfect for bars, cafes, canteens and places where space is at a premium. 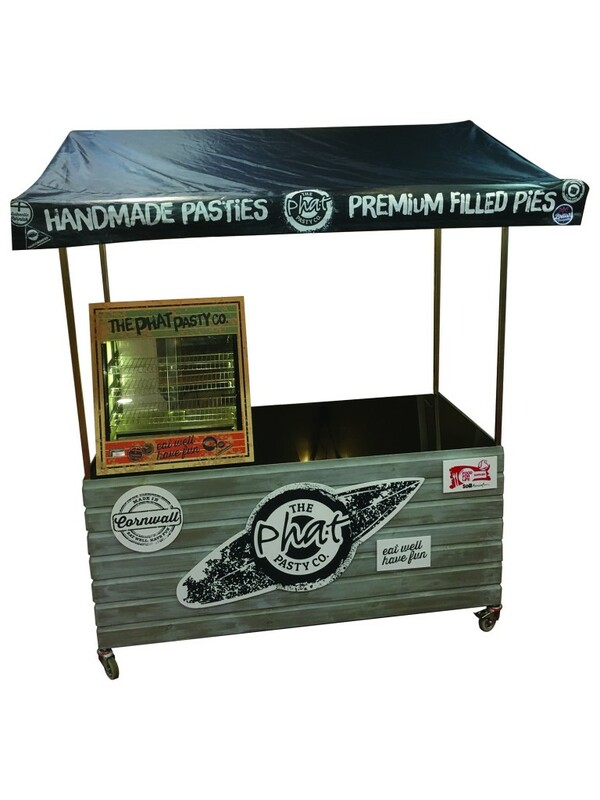 This countertop unit holds 40-45 pasties or 50-60 pies with access from both front and rear doors. SPECIAL OFFER is available to Bidvest Foodservice 3663 customers - Order a Phat Branded Heated Display Cabinet & POS for just £350 and receive 6 cases of FREE stock-this effectively covers the cost of the unit. 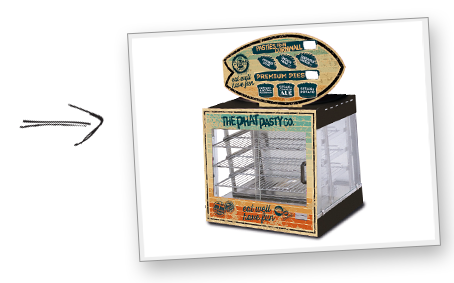 This free-standing, full height heated display unit, branded with Phat Hot To Go is aimed at high volume, self-service locations. The unit holds up to 60 items and is suitable for Cafes, Coffee Shop, Forecourts and Foodservice retail outlets. We can work with you to develop a full kiosk or operating outlet, either building a new kiosk unit or re-branding an existing outlet. Phat have a team to create the branding and to provide the necessary expertise to help set up a Phat operation. 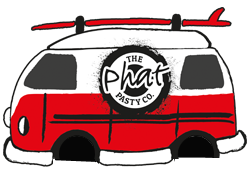 A full Phat brand licence is available to suit your business and customers needs. From a simple menu board to creating full signage and branding solutions, Phat can bring an outlet or counter to life using our impactful branding. We have both standard menu boards and signage or can adapt materials to your specific needs. 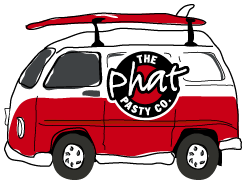 Phat branding adds value to customers experiences and provides operators with increased sales through a branded offer to the customer - It's not just a pasty or pie, its a 'Phat Pasty'. Phat has Point of Sale to support each of the product ranges or can provide bespoke posters, table talkers or menus to suit each operators requirements. 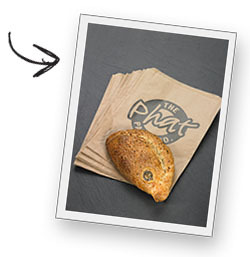 There are also branded greaseproof pasty bags and kraft pie boxes to provide 'grab & go' packaging . Just call or email solutions@phatpasty.com to order.